Amenities Gated security, 24x7 power backup, Swimming pool, club etc. Srs Residency apartments range is the best residential projects of faridabad with the option of 2 bhk, 3 bhk and 3+1 bhk flats. These flats have been launched by srs group and now ready to move. There are a lot of families who have been living from a long time and enjoying the amenities. 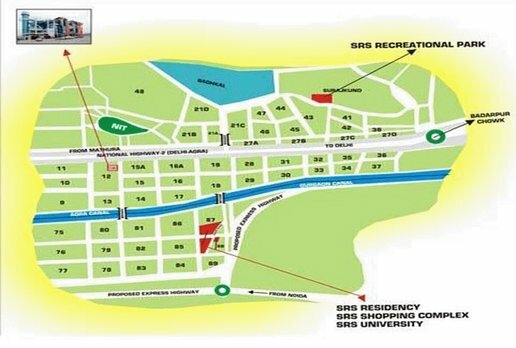 Srs residency situated at sector 88 of naharpar, greater faridabad. Location is well connected to delhi, palwal, noida and faridabad. It takes 40 -45 minutes to reach delhi from these apartments. 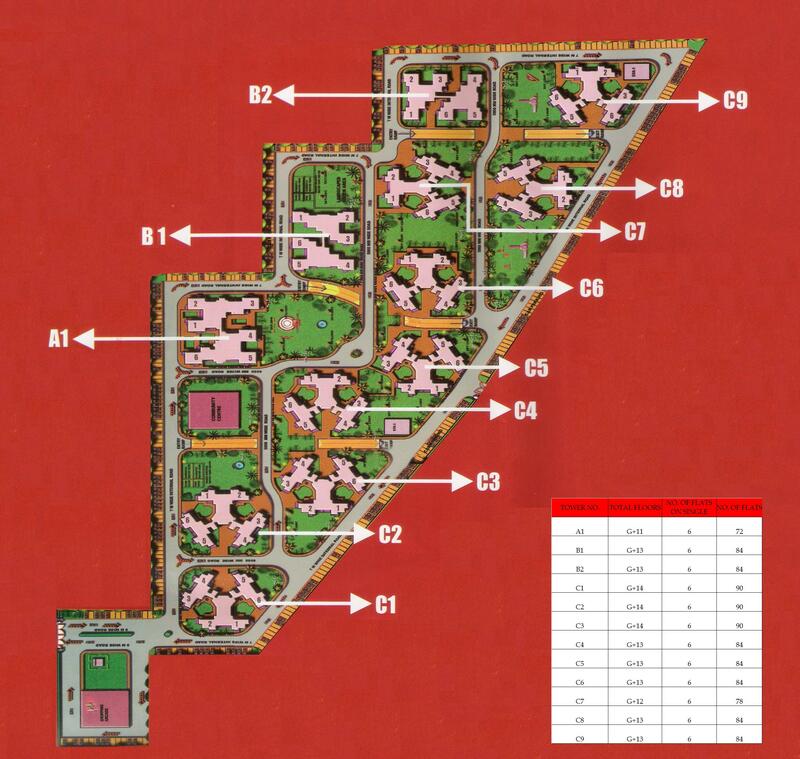 This residential project of faridabad covers the area of 17.342 acres and having 1132 units. Home sizes range almost between 1304 sq. Ft. And 1850 sq. Ft. . Swimming pool, playing zone for kids, a well equipped gymnasium, tennis court, power backup and indoor game facilities give you luxury life style within green surroundings. Interior of srs residency apartments is very good. Kitchen has stainless steel sink with drain board for your better comfort. Doors and windows made of teak wood that gives your home a good look and better maintenance for a long time. Srs residency has 13 towers as 9 towers of 2 bhk type units, 2 towers of 3 bhk type units and 1 tower each of 3+1 bhk type units. 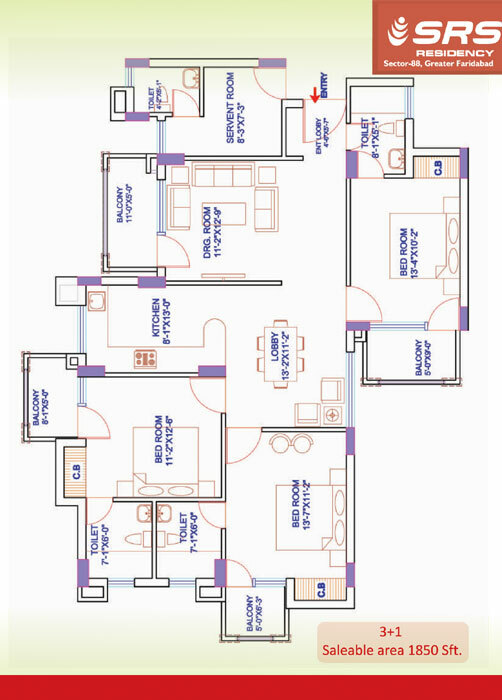 Price range of for 2 bhk flats start at rs. 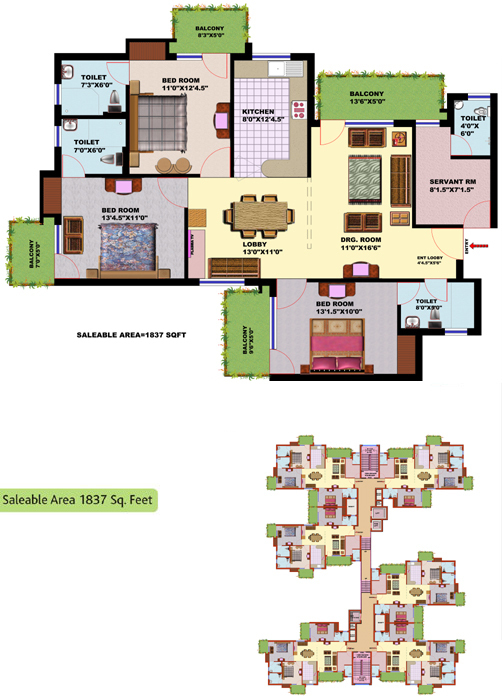 37 lakhs, for 3 bhk flats start at rs. 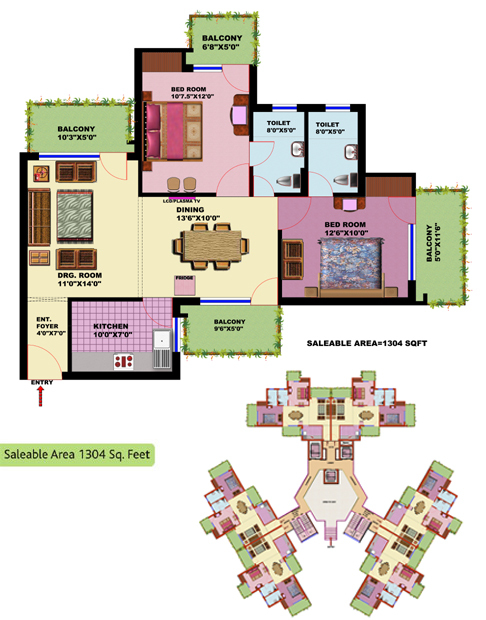 50 lakhs and 3+1 bhk flats start at rs. 55 lakhs. This project is of course a good option in residential projects of faridabad. 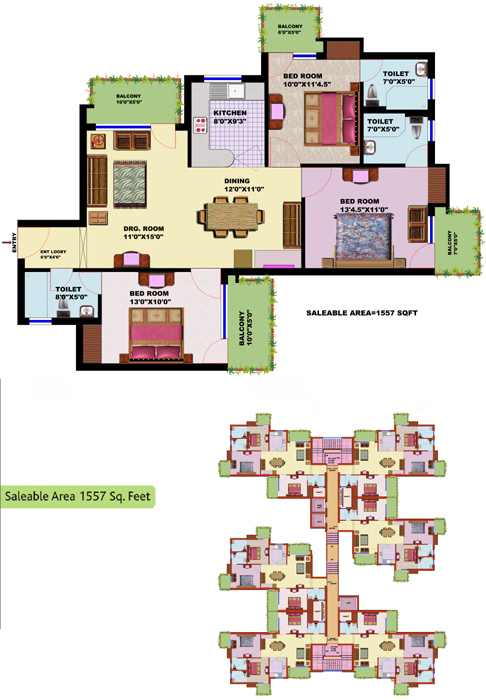 Super Area 1307 sq.ft. 1557 sq.ft. 1837 sq.ft. 1850 sq.ft. Copyright © 2017 www.srsresidencyfaridabad.in All rights reserved.